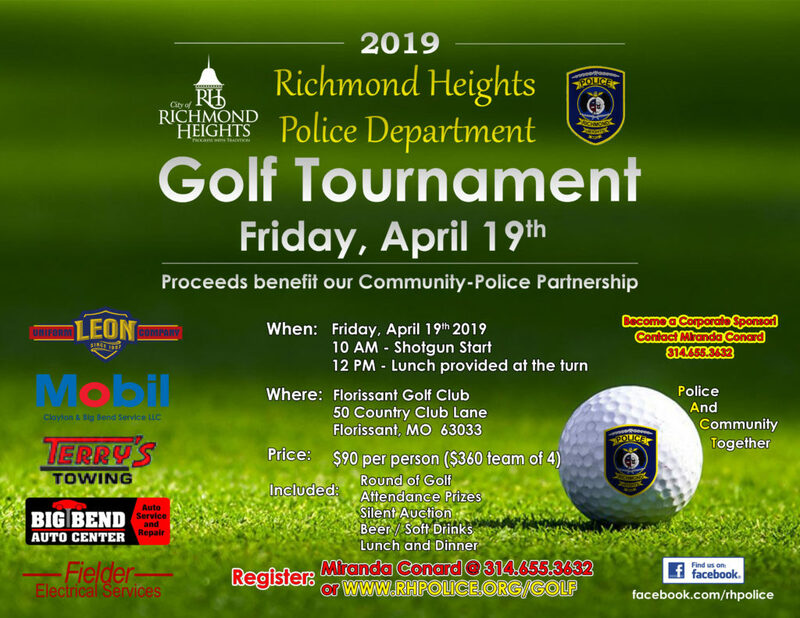 On Friday, April 19th, the Richmond Heights Police Department will be hosting its 21st annual golf tournament. The tournament is to raise money for several community policing programs. This unit, called P.A.C.T. (Police and Community Together), has been in existence for nearly twenty years. The unit is responsible for managing all community policing events. Fields denoted with an asterisk ( * ) are required.